Brief: New summer season campaign, idea must reference each product’s style, feature the product and be suitable to run across at least five different European countries. The campaign must feel high fashion. Idea: Heart stopping moments told from the point-of-view of shoes. Came up with the idea, sold the campaign in, wrote all the copy for the print, digital and retail materials. 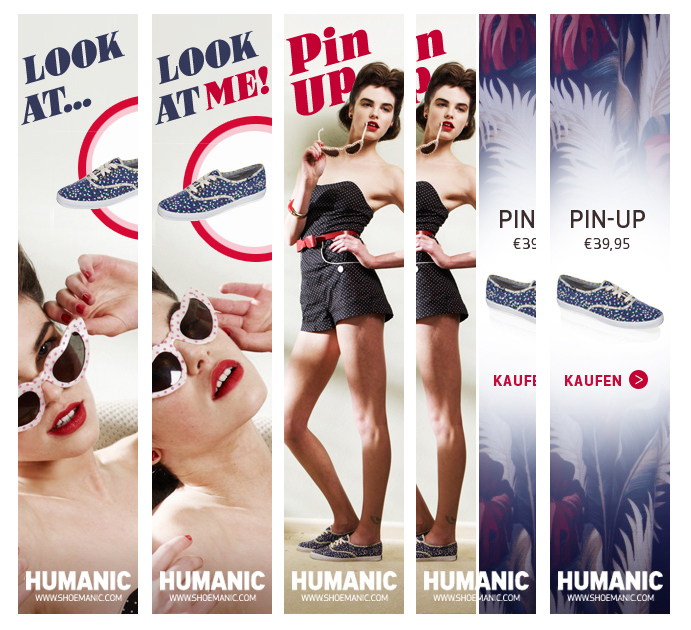 Humanic is an Austrian shoe retailer with stores across Germany, Poland and Eastern Europe. If you have a moment, it's worth checking out the old TV adverts. I think my favourite is HCN Miau, filmed by artist, Edgar Honetschläger in 1996.